Very important topic, especially for those of us who are BRCA mutation uninformed negative. Thank you, FORCE. Hereditary breast and ovarian cancer syndrome is not just BRCA. This entry was posted in All on March 5, 2015 by nope2BC. 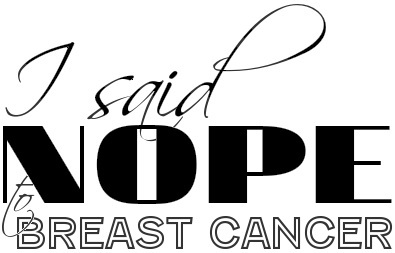 No it isn’t just about BRCA. I just tested for 25 mutated genes (will know more in 3 weeks). I am a carrier of a gene called ATM which probably caused my breast cancer at the age of 32. I think knowledgeable is power! Yes, knowledge IS power! I am happy to see that the focus is no longer solely on BRCA.